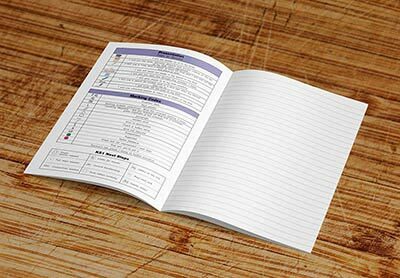 Clarkeprint: Our bespoke exercise books are proving to be a valuable learning and teaching resource, providing benefits to students, staff and parents alike. 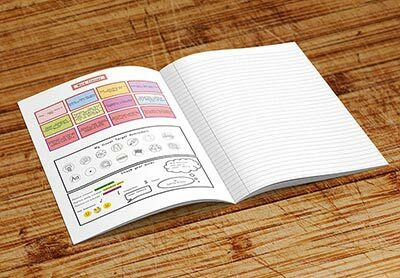 Our school exercise books are much more than a simple method for children to record their work. We work in partnership with the management team within schools to develop learning and teaching resources that genuinely add value to the pupil’s education. 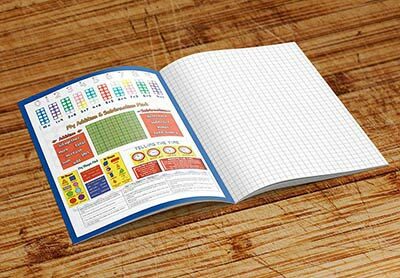 Over the years we have developed a number of these resources and a genuine understanding of how bespoke exercise books can be used to improve standards; we are only too willing to share these ideas. Special covers are complimented by one of the widest range of standard text types and book sizes. A4 exercise books and A5 exercise books, along with extra-large, medium and spelling books are all part of our portfolio. 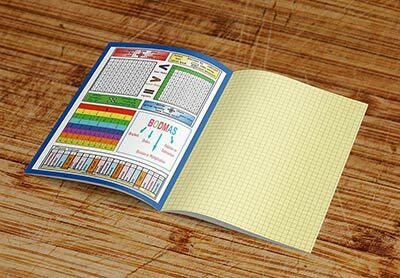 Books in A4 size have the biggest range of ruled pages with and without margins and specifically for maths exercise books, squared paper in 7 different sizes, also with and without margins. There is also an unrivalled choice of handwriting exercise books to choose from with most popular books sizes available. We offer competitive and transparent pricing, a friendly service and for those unforeseen occasions when you run out of books mid-term, no minimum order! 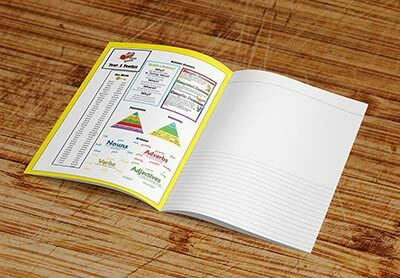 Why choose Clarkeprint for your School Exercise Books? Choose any colour cover, selected from our excellent range or send a sample to match – colour code by key stage or subject. Include your full colour school logo. If you need your logo/badge professionally designed or redrawn we offer a full and competitive artwork service, our graphic design team are here to help. Select an inside ruling relevant to your subject. 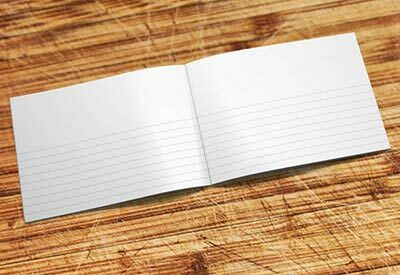 Choose from our extensive range of standard lines (including lined, squared, handwriting, split pages and more). If you can’t find exactly what you require, feel free to request bespoke ruling – almost anything is possible. 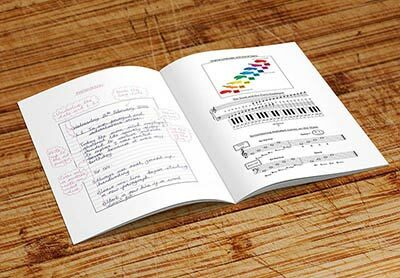 Add customised inner content to the covers to assist teaching and learning. Some popular choices include school rules, learning objectives and learning resources such as spelling and times tables. Send in your artwork or let our design studio create it for you.